Sometimes in life, unexpected things come your way and you are blessed with a wonderful learning experience. Such was the case with a school project assigned to me while studying graphic design at Mass. College of Art and Design. The class was Typography. We were each given one designer to research and prepare a presentation for the class at the end of the semester. I was assigned A.M. Cassandre, about whom I knew nothing prior to this project. 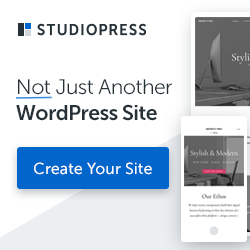 As I delved into his life, I discovered several interesting personal connections to him. 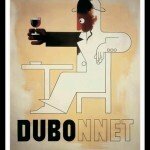 He was born in the Ukraine in 1901, to a Russian mother and French father. My father was born near the small town, Odessa, in the Ukraine in 1912, and my maternal grandfather was French. 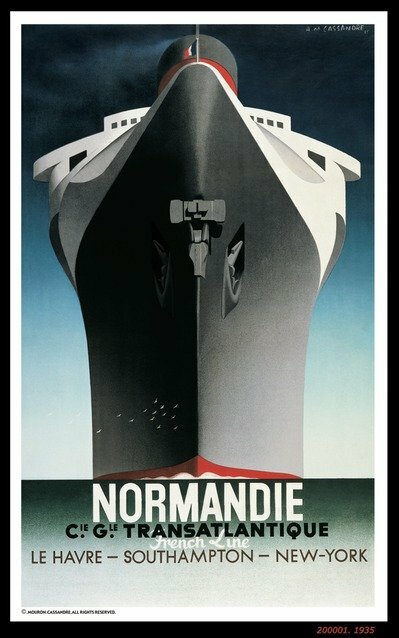 Cassandre migrated to Paris when he was fourteen years old to study art and design. My father migrated to the United States when he was 9 years old. Cassandre became a graphic designer and type designer. My father became an electronics technician. Oh well, I guess that’s where the similarities end! Nonetheless, the parallels intrigued me. Cassandre’s designs really captivated me. While still in school, he he began working at a printing company to earn money for his studies and living expenses. 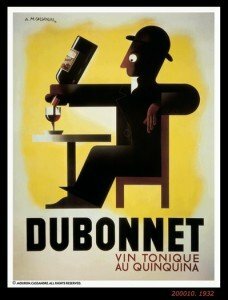 For a period of more than 12 years, he designed a series of spectacular posters that essentially revitalized French advertising. 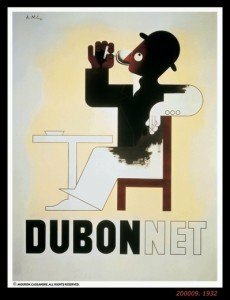 His style was bold and dramatic, with complex underlying grids that structured his use of perspective. The forms are simplified almost to the point of abstraction. I love his exaggerated contrast in sizes. 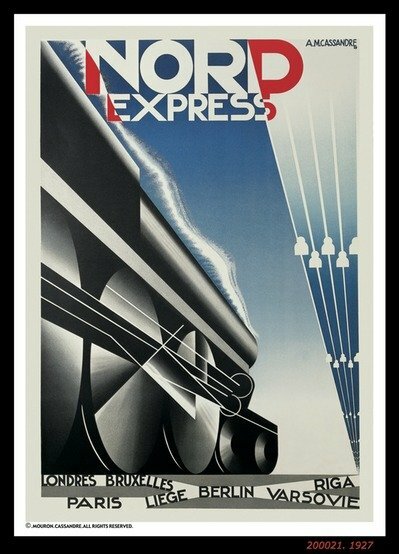 Most of my favorite posters are those he did for railway and steamship companies. 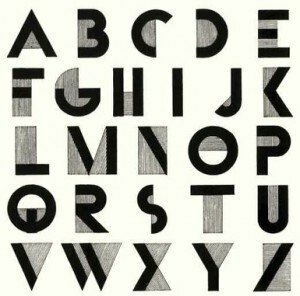 As you can see, Cassandre’s typographic choices were primarily sans serif, which suited the geometric forms that he used. There’s a definite hierarchy. What I found unique was his overlapping of the letters and his use of words for borders. His messages are clear and concise. 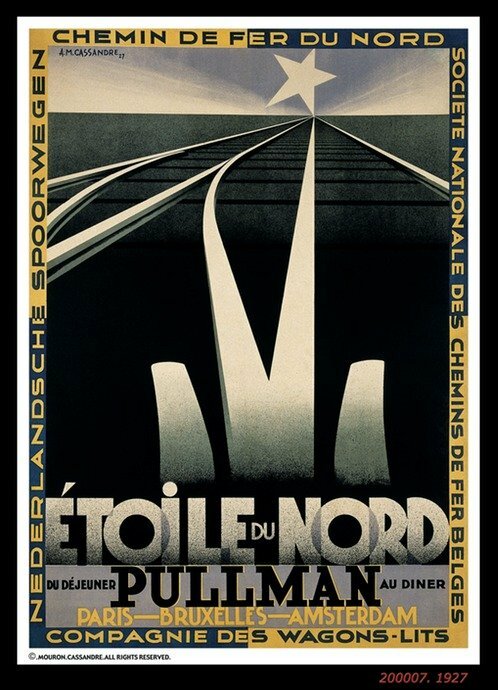 Cassandre also designed a few typefaces that were innovative and rather daring for their time. Below, on the left, is Bifur; on the right is Peignot, which you may recognize as the font used for the title of the Mary Tyler Moore television series. 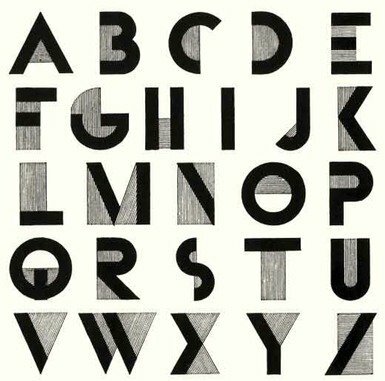 This sample of Peignot Light is from Identifont (http://www.identifont.com/show?TL). 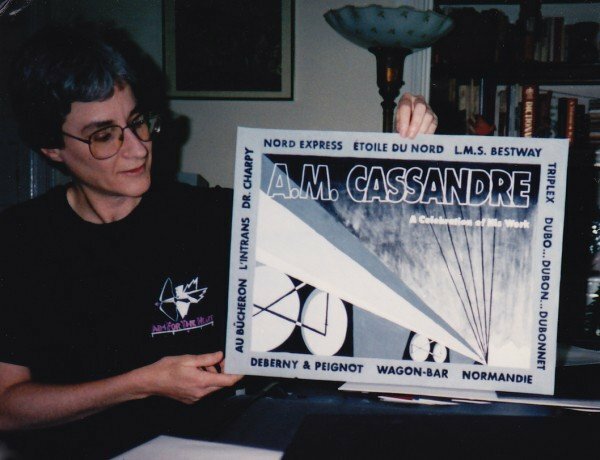 At the end of the semester, I presented my research on A.M. Cassandre. In tribute to him, I designed a poster in his iconic style. The poster was done entirely by hand, in gouache. In the middle of painting it one night, there was a terrible snowstorm, and we lost power in our neighborhood. It was a challenge to paint the grayscale poster in a grayscale room, lit only by candles! Undeterred, I completed the poster that night. 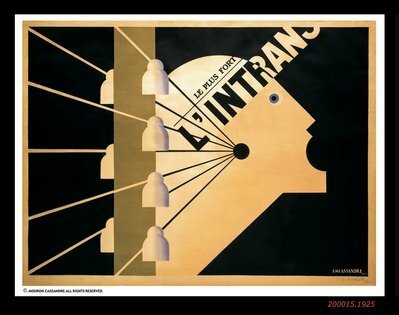 Anne’s poster rendered in the style of A.M. Cassandre. During my presentation, I played a tape of Edith Piaf music as I spoke about Cassandre’s life and showed his designs. It was fun to share what I had learned about this man whose work had such an unexpected impact on me. I continue to be inspired by him. Which designer has inspired you the most? Please share! 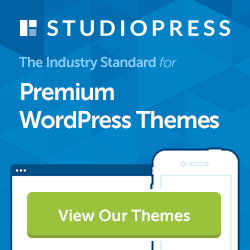 Thanks for the blog and we are really glad that to know A.M. Cassandra. 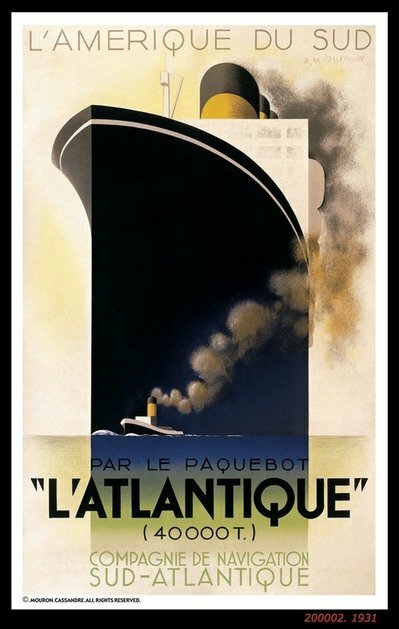 Especially when it came to one of the posters that you posted, called “L’atlantique, ©1931 A.M. Cassandre”, it is really impressed with the rectangle-shaped picture it has brought the poster to a wonderful dimension. Outstanding work. Many thanks for share this!